Amazon confirmed today that Alexa has been localised for the Australian and New Zealand accent local skills and local knowledge. 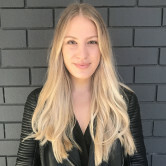 AdNews revealed earlier this year that News Corp, Fairfax, ABC and Mamamia were all in discussions with Amazon regarding the launch of Alexa and how they could push their content through the platform. Content services include news bulletins and weather information, sports teams updates, ebooks, music, and all other basics, such as alarms, calendars and shopping lists. As a result of the integration with Amazon Alexa, users can use their voice to post and allocate tasks via Airtasker on the platform. The key phrase is then ‘Alexa, ask Airtasker to 'find me a cleaner’. Airtasker co-founder and CEO Tim Fung says the objective of joining Amazon Alexa is to make the voice-based platform more accessible to users. “We’re also really excited about the prospect of the new Airtasker skill on Alexa enabling people with a physical disability to use Airtasker – helping to broaden the community and creating a more inclusive and diverse platform,” he says. Qantas, NAB and Westpac had launched localised skills for Alexa, checking travel details and loyalty points, or account balances, respectively. REA Group chief inventor Nigel Dalton says Amazon Alexa will give people a fresh way to consume property-related news, giving users access to more than 1200 articles monthly. “It’s still early days for having conversations with your technology, but we’re continuing to discover new ways to adapt and integrate that into our daily lives,” he says. News Corp’s taste.com.au publication launched a skill allowing consumers to hear the recipe of the day or search 50,000 recipes by type, ingredient, theme or event, sorted by top ratings. Amazon Alexa's launch follows the arrival of Google Home in 2017, which has already inked deals with Stan, Netflix, HuffPost and News Corp's The Australian. Amazon officially opened its doors in December last year after months of speculation. So far, it has split consumer opinion, with some users celebrating its arrival and others criticising its high prices. In the February issue of AdNews in-print, we ask executives what impact they believe Amazon will have on media, marketing and the wider economy. Don't miss out - subscribe now to read the exclusive content when it drops. 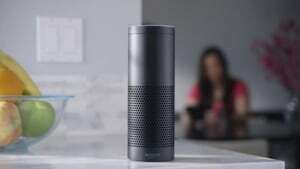 Aussie brands including Airtasker, Hipages, Seek, Energy Australia, Qantas and NAB have been quick to ink a deal with Amazon Alexa, as the technology becomes available nationwide from February. Media companies such as SBS, News Corp, REA, Ten News, Sky News and Fox Sports are also getting on board with the new voice-based interaction platform, which rivals Google Home.